There are a number of social events through the year. We hold a winter lunch, a spring dinner and a summer party to which all members and their partners are very welcome. At Finals Day, we mark the last day of the playing season with a bring-and-share lunch, the finals of some of the internal competitions, and plenty of opportunity for relaxed conversation: this is always an enjoyable day. More informally, each month after one of the club sessions we meet for a simple bring-and-share lunch. These are on the second Monday of each month during the playing season. During the winter months, there are opportunities to gather informally for Meet and Eat at Brigantes in Micklegate. There are fortnightly strategic board games mornings to which all are welcome. 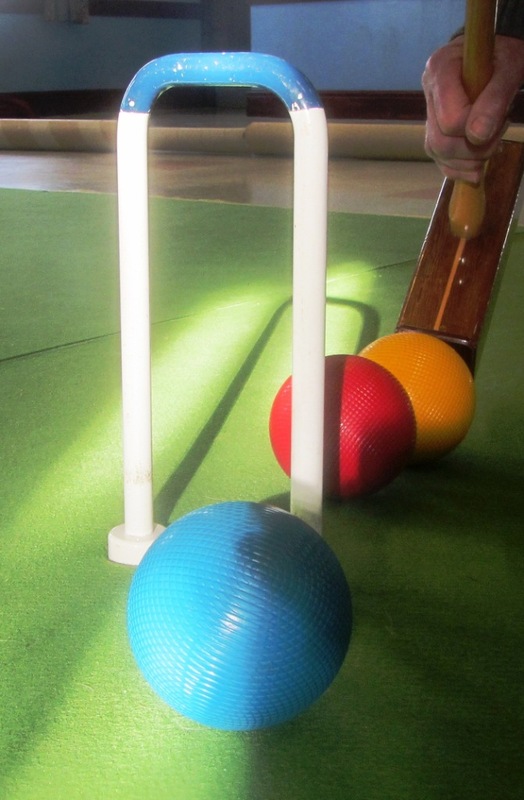 We also play indoor croquet on the Yorkshire Federation croquet carpets at Bishop BurtonVillage Hall, near Beverley, as we await the coming of spring and the start of the new season.